Fashion lovers will be treated to a stunning exhibition at the London College of Fashionwhen they will showcase for the first time, five portraits of Coco Chanel created by Marion Pike. The exhibition will reveal the series of five colorful portraits of the legendary French couturier, as well as letters and a selection of Chanel couture worn by the artist and her daughter Jeffie Pike Durham, who loaned each of the displayed pieces. The show tries to explore the friendship between the iconic designer and the late Californian artist that began in 1967, when the painter spent a period of time living and painting in Paris, and also observing Coco’s creative process. Pike immortalized some of the most iconic figures in the world, from former US president Ronald Reagan, whose 1966 portrait covered Time magazine, architect Frank Lloyd Wright, to Estée Lauder and even Pope John Paul II. Having previously refused Pablo Piccasso's request to paint her portrait, instead Gabrielle “Coco” Bonheur Chanel gave Pike the opportunity to paint her portraits, which resulted in a rare insight of the fashion designer’s fascinating character. The collection is curated by LCF professor Amy de la Haye. 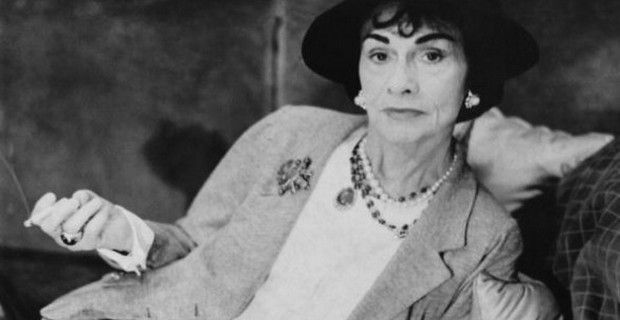 The exhibition, Coco Chanel: A New Portrait by Marion Pike, Paris 1967-71, will run from September 5 to November 16 at the Fashion Space Gallery, 20 John Princes Street, London, W1G 0BJ, but also in Milan at the Palazzo Morando Costume Moda Immagine from December 6 to March 2, 2014. Louis Smith to launch his own Fashion brand?